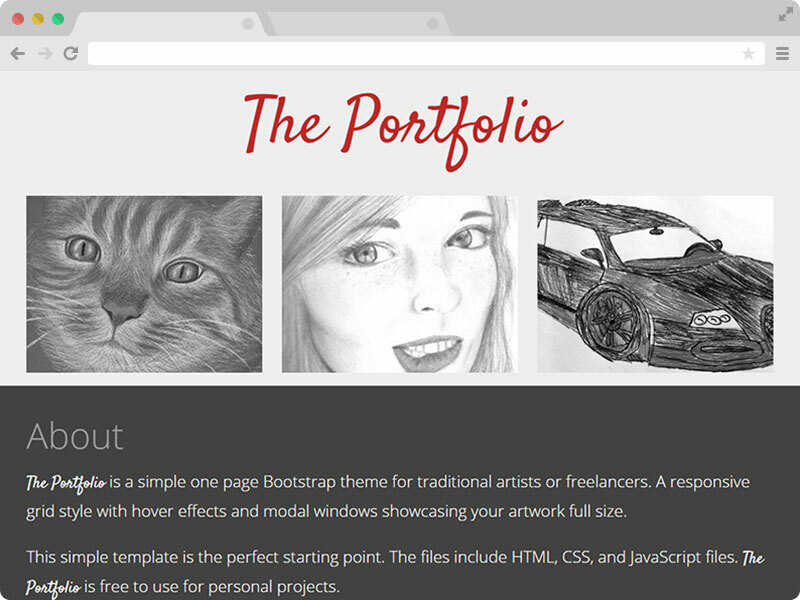 The portfolio is a free One Page Portfolio Bootstrap Responsive Template. A clean & simple portfolio website html5 template designed with HTML5 & Bootstrap. ThemeWagon has added a fresh new lightweight Bootstrap3 Template- Portfolio. It is a simple and clean One Page Portfolio Bootstrap Responsive Template. If you are looking for a One Page Portfolio Bootstrap Responsive Template to showcase your artworks or products, you can download The Portfolio now to build a fantastic website. From our previous experience, we see that the famous and fruitful ones want to keep things simple. Many developers working on Google or Microsoft have a clean website with almost zero CSS. This clean yet beautiful portfolio HTML5 template is ideally suited for not only those famous people but also for those who are missing the limelight despite doing amazing works but lacking a sound business strategy. Which means, if you are in the queue to become famous next, this One Page Portfolio Bootstrap Responsive Template is supposed to be for you. The Portfolio is a completely responsive HTML5 template that supports any handheld devices and all the main browsers we use daily. This free template is built on mobile first technology. You can check the responsiveness of the template on Google Mobile-Friendly Test or Am I Responsive. Just insert the demo link and see for yourself. Portfolio is an one page personal website template. So all the contents yoou wish to show can fit on a single page and this makes browsing speed faster. Which will surely be liked by your clients. Portfolio is fully SEO friendly as it was built following Google SEO Friendly Guide. So, if you put your texts and images or other contents correctly then Google will rank your online portfolio surely. This awesome creative one page online portfolio website was designed and developed by Adrianne Kuczynski. And she distributed it Fully Free for you. Good template for the designer who are about to start their journey. Since it's free to download, you can create your portfolio site, showcasing your works.